A Content management system (CMS) is a software system that provides website authoring, collaboration, and administration tools designed to allow users to create and manage website content with relative ease. It is used to create and manage digital content. CMS comparison is difficult however today we are going to compares three of the most widely used one’s CMS. WordPress is an online, open source website creation tool written in PHP. When it comes to CMS comparison, it’s probably the easiest and most powerful blogging and website content management system (or CMS) in existence today. It can also be successfully used for designing simple websites. WordPress is powerful enough for web developers or designers to efficiently build sites for clients; WordPress is ideal for fairly simple websites, such as everyday blogging and news sites; and for anyone looking for an easy-to-manage site. The development on WordPress is easy and one can see real-time changes as they apply changes on their website. It comes with a preinstalled plugin and template function. User-friendly and best for beginners and amateurs. It has over 45,000 Plugins for almost all the functionality. WordPress offers lots of customization options of a theme. 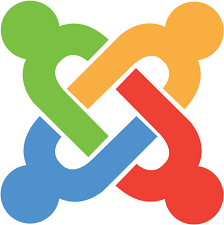 Joomla is a free and open-source content management system (CMS) for publishing web content. It’s great for e-commerce or social networking websites, but when it’s about CMS comparison it requires a basic understanding of technical skills. Joomla is designed to perform as a community platform, with strong social networking features. When it comes to complexity as per CMS comparison, Joomla comes somewhere between simple WordPress and comprehensive and advanced Drupal. Joomla helps you keep track of your web content. As per CMS comparison, Joomla allows you to build a site with more content and structure flexibility than WordPress offers. When CMS Comparison comes, Joomla has brilliantly combined the power and flexibility which Drupal has to offer, while also retaining the intuitive, user-friendliness that WordPress excels at, making it a perfect middle ground in a crowded marketplace. Joomla is an open source so its license is available free of cost. Joomla can be used for Multipurpose like government applications and organizational websites. There are thousands of templates and themes available for Joomla CMS development. Joomla CMS development can be easily migrated to any server. As per CMS comparison, Joomla requires certain Plugins for certain scripts. Its Customization is limited. It is heavy for the simple and small website. Drupal is the most difficult, but also the most powerful. It requires a familiar understanding of HTML, CSS, and PHP. Drupal an exceptionally SEO Friendly CMS it comes with the Clean code and effective modules. If CMS Comparison appears then Drupal is known for its powerful taxonomy and ability to tag, categorize, and organize complex content. Drupal doesn’t require any specialized capacity for coding (like HTML coding). it comes with Thousand of free Modules. Drupal has Basic and Advanced Features. Drupal comes with Readymade Professional Themes. It has the neat code and exceptionally potent modules that are liked by major search engines. All three are excellent choices in most cases. But your own unique scenario will require different capabilities, which probably makes ONE of these three CMS options the perfect fit. CMS Comparison is between WordPress, Joomla, and Drupal. All these offer great features and tons of customization, ease-of-use, and strong security. As per CMS comparison, Choosing the right is indeed the difficult task because they’re all good options. When compare three of them for a simple blog or brochure-type site, WordPress could be the best choice (while very friendly for non-developers, it’s a flexible platform also capable of creating very complex sites). If you are looking for something more advanced than the highly customized site requiring scalability and complex content organization, Drupal might be the best choice. And for something in between that has an easier learning curve, As per CMS Comparison Joomla is a perfect choice. If we compare three of them WordPress offers almost 4k + themes while Joomla 1k + and Drupal 2k+. If talk about the Plugins WordPress offers more than 45k + free Plugins while Joomla 7K free + Plugins and Drupal offers almost 34 k + free Plugins. When it comes to using, WordPress is most user-friendly as compared to Joomla and Drupal. CMS comparison clearly shows WordPress is best used for simple blogging, corporate website, or small business websites. Joomla is mainly used for, E-commerce and Social networking sites. Drupal is the most technically advanced and good for technical people who like to get into the technicality. Anyone considering Drupal should have at least a basic knowledge of HTML, PHP and other common web programming languages. Which one should you select? It’s super easy to add new content and there are tons of free Plugins and layouts to choose from so we can easily change and tweak basically anything we want without needing to know HTML, CSS, or any other programming languages. There are thousands of different themes available. It also has a ton of security updates and features. It’s the clear winner for us. Everyone will say their content management system is the best. If you are still not sure which one to use, take a look at our CMS Comparison of WordPress vs Joomla vs Drupal. It might help you. Or else you can download each of the free platforms and do a trial run all by yourself to decide what suits you the best as per your requirement. Previous post: What Type of Web Hosting Do I Need?